Indoor Solid Project Blocks are manufactured from selected Australian pine, smoothly sanded and finished off with raw linseed oil. 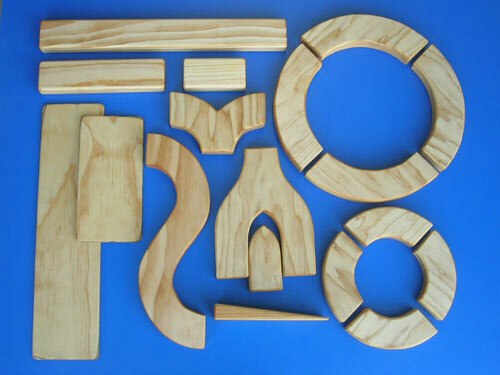 Our selection of different sets caters for the many angles, arches and unit blocks. Indoor Solid Project Blocks are an essential play piece in any Centre to enable a child to develop building and creative skills.